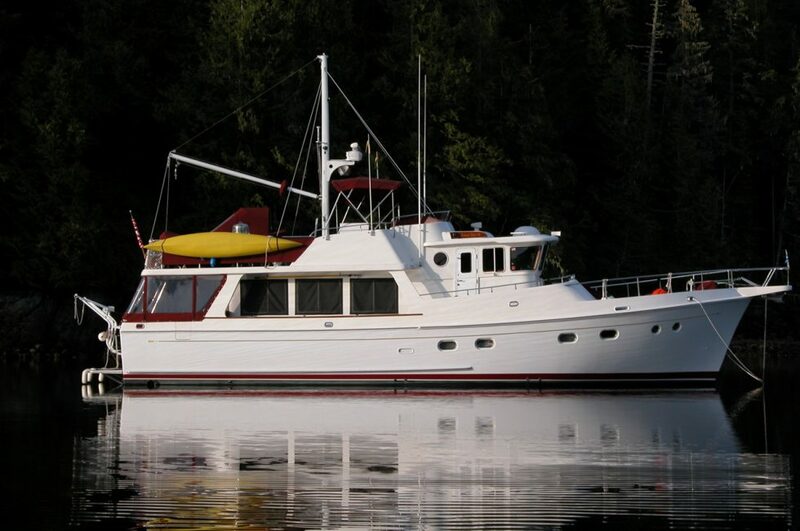 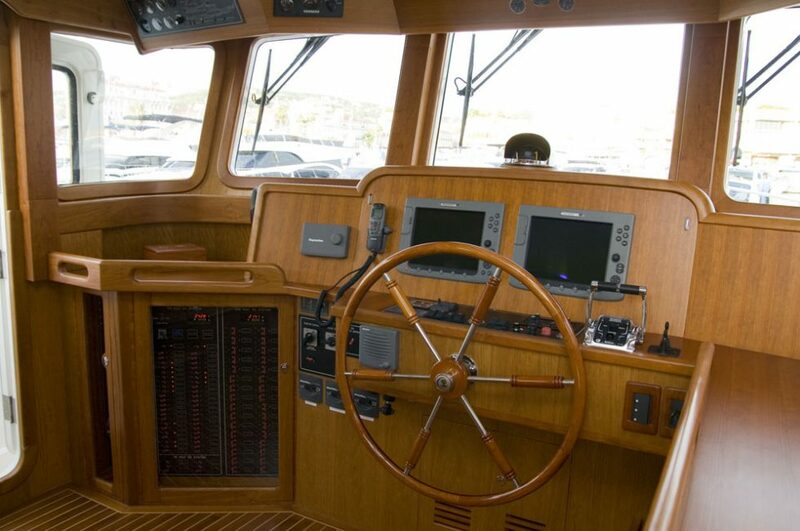 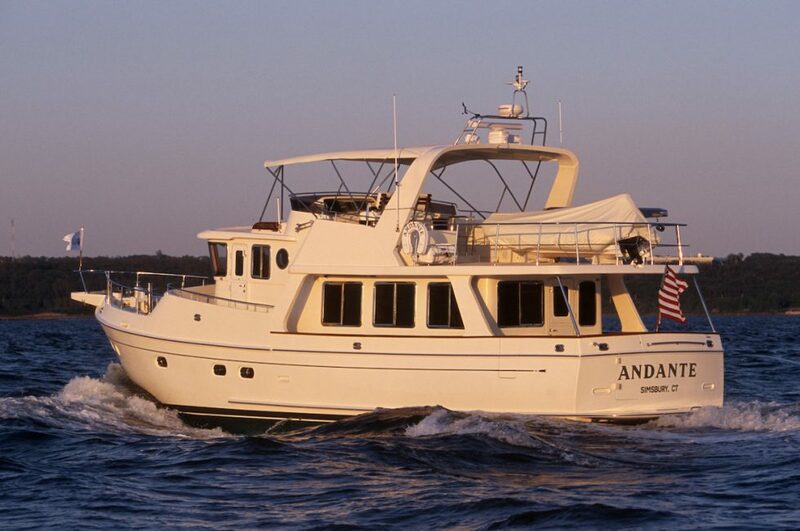 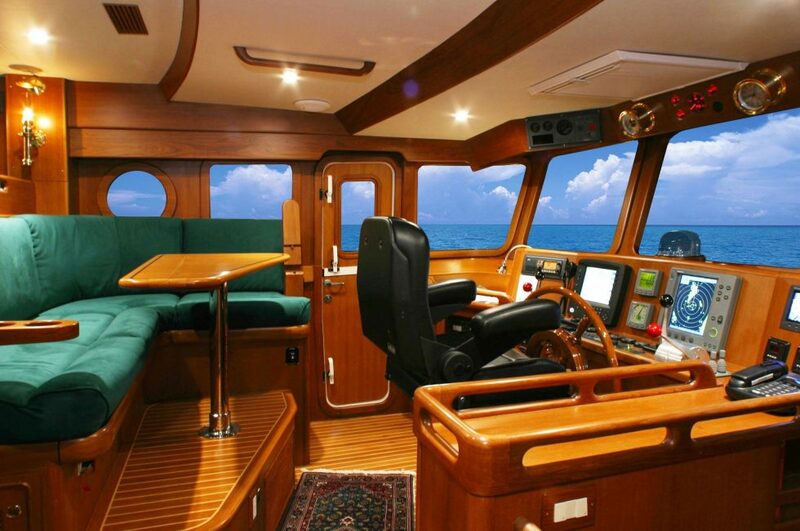 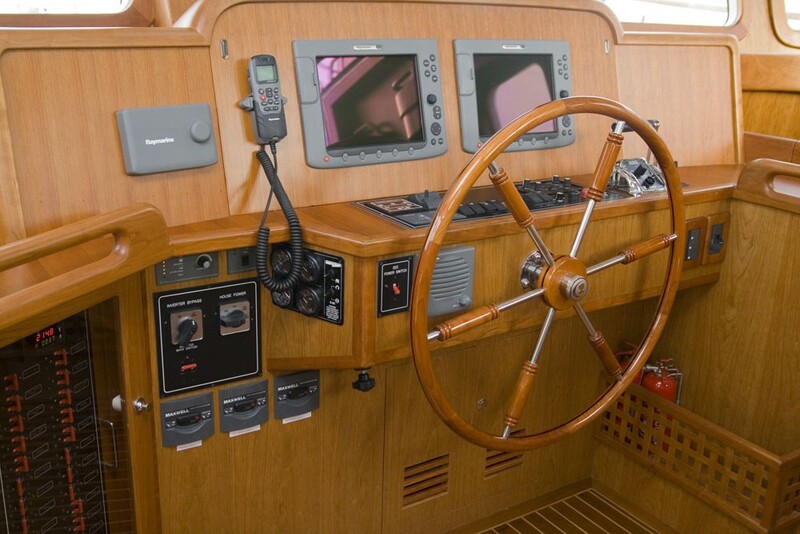 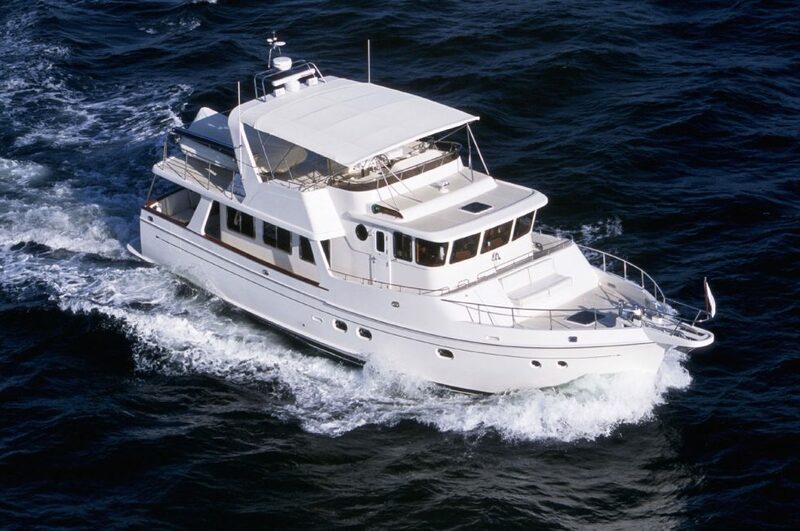 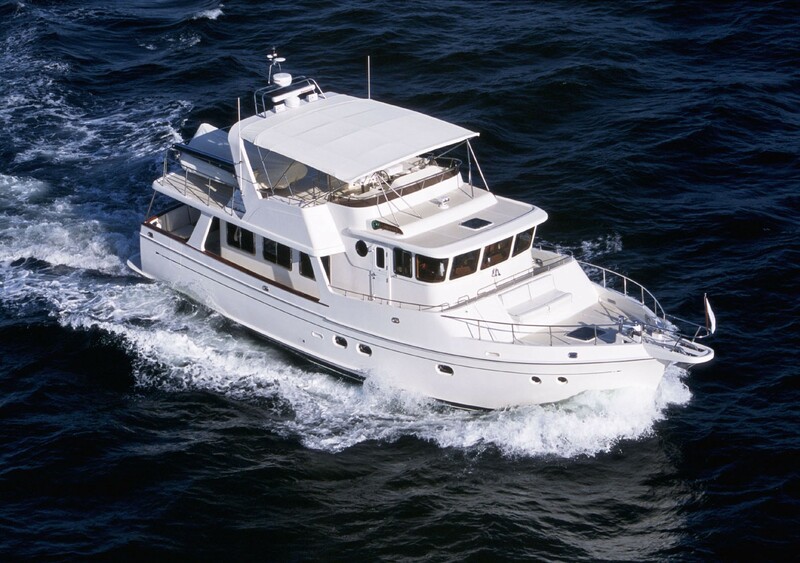 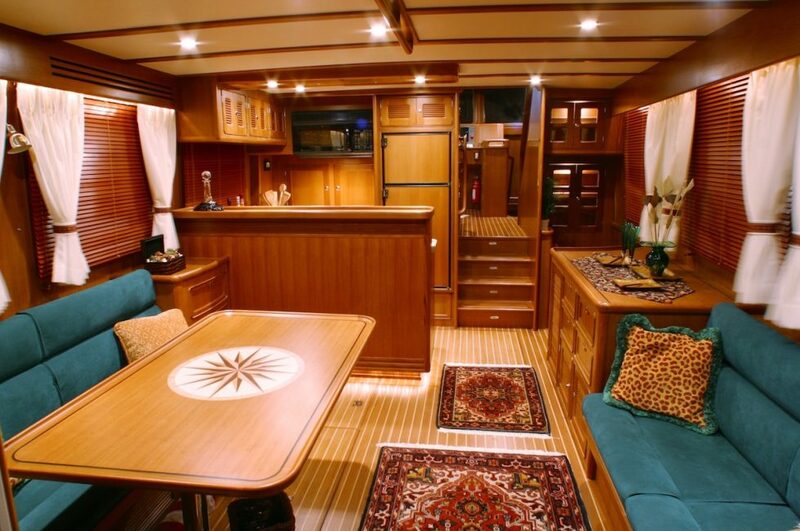 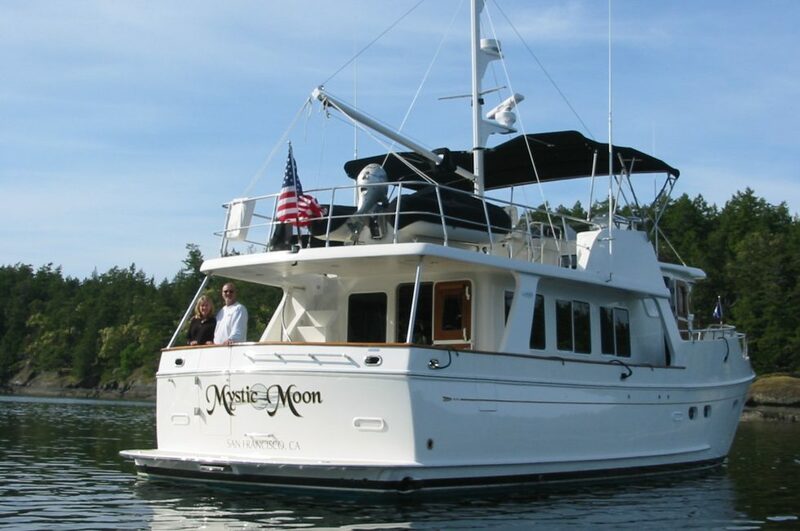 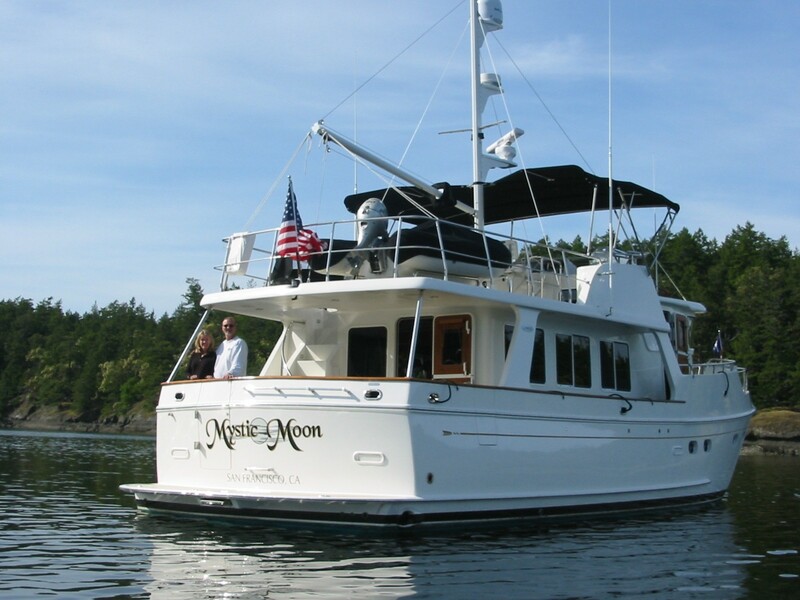 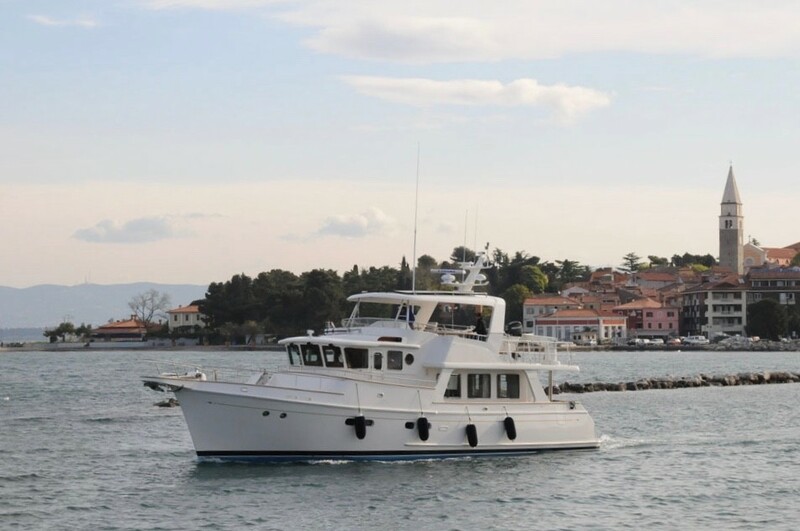 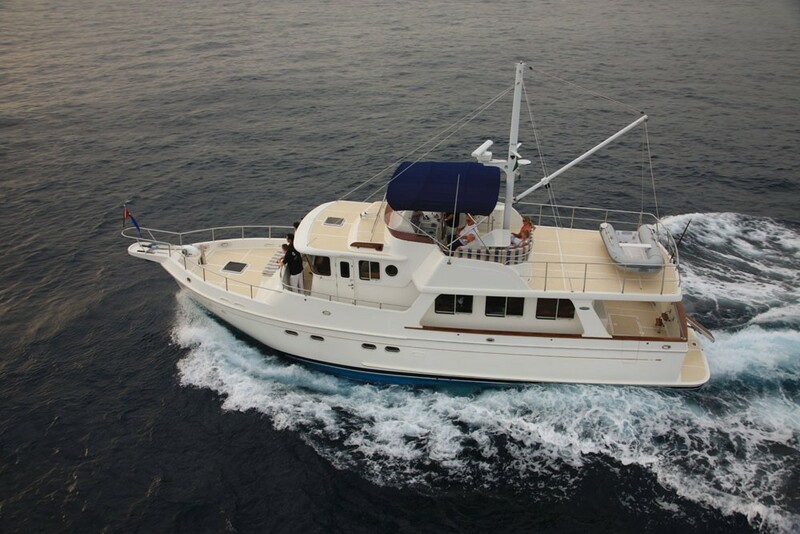 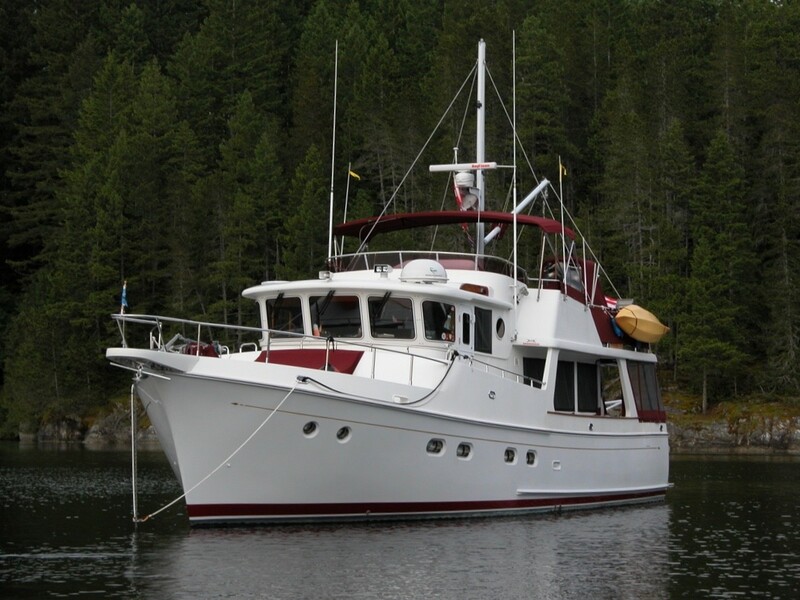 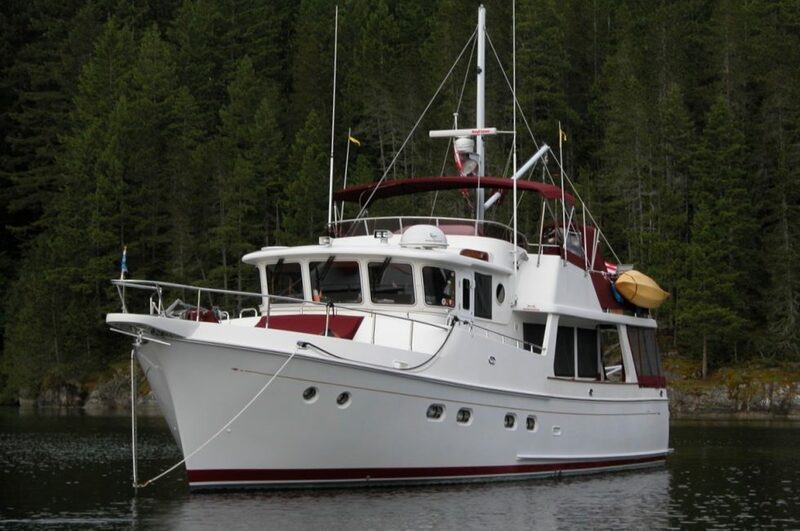 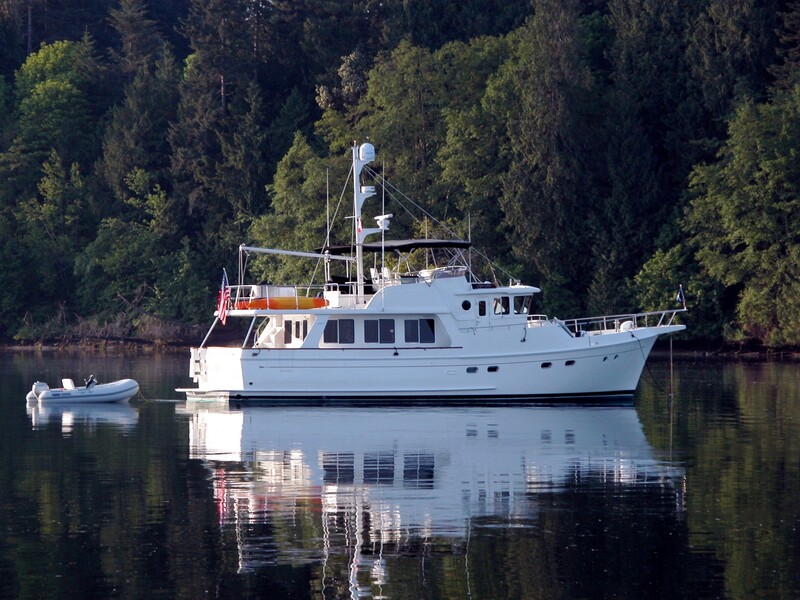 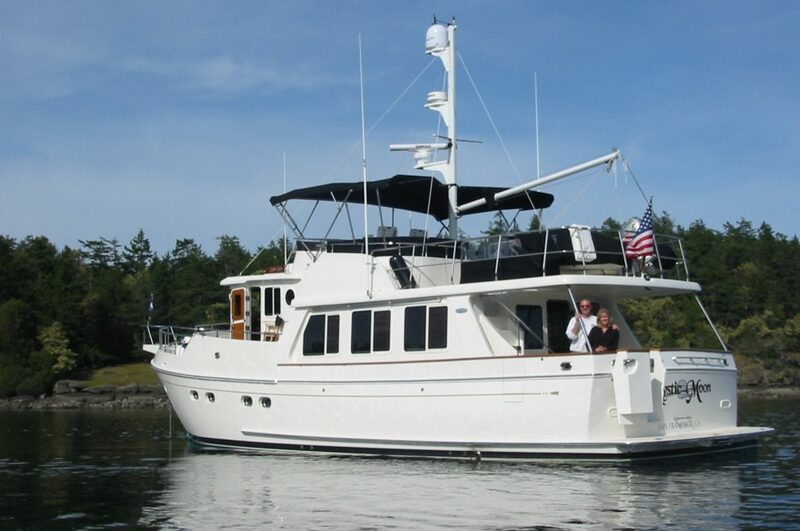 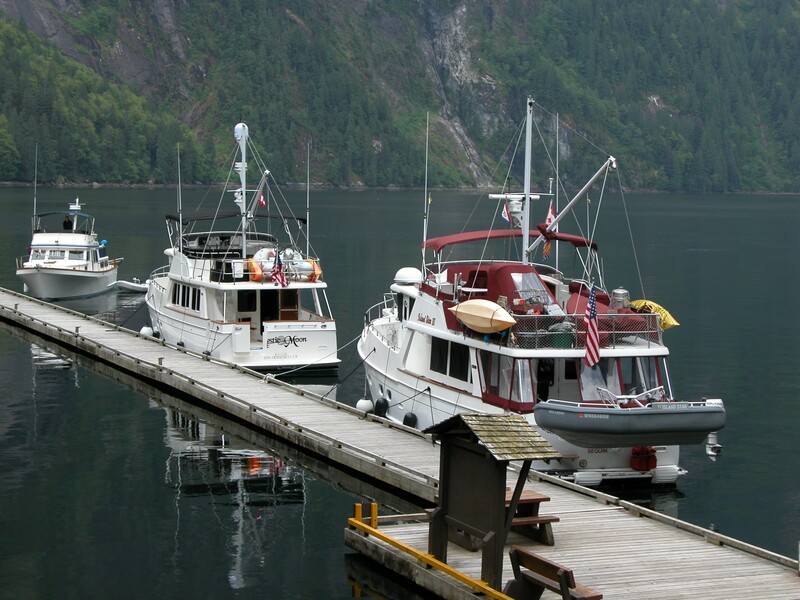 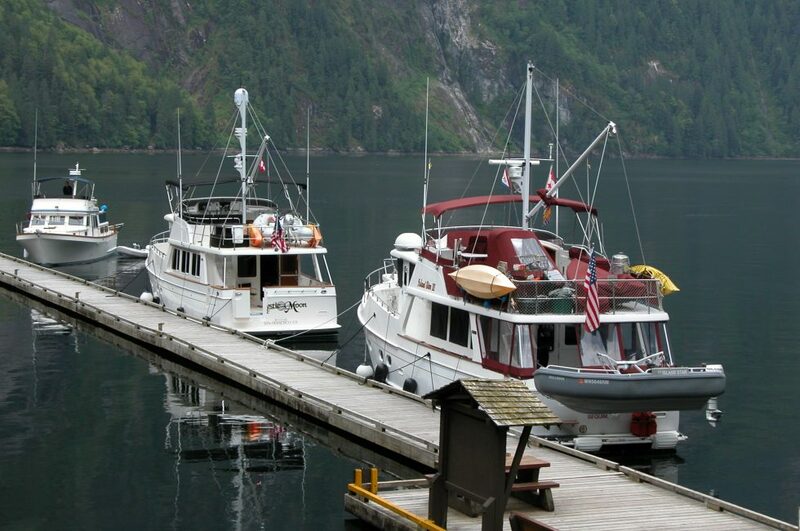 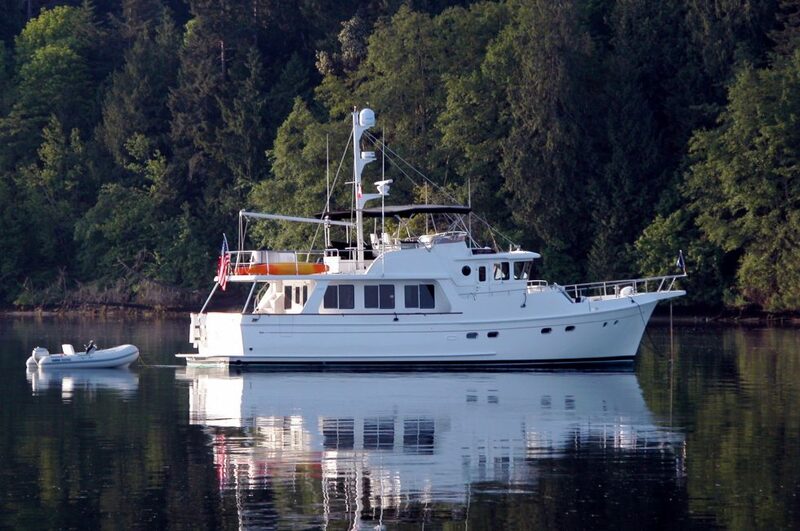 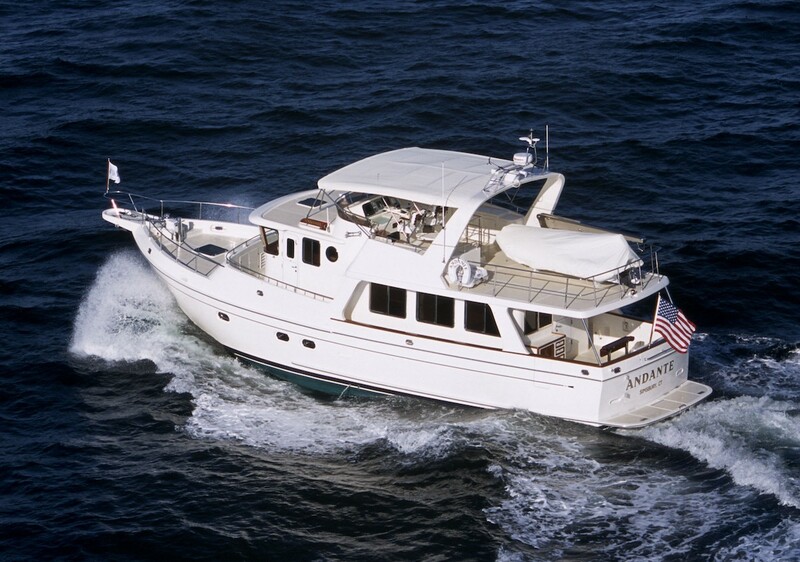 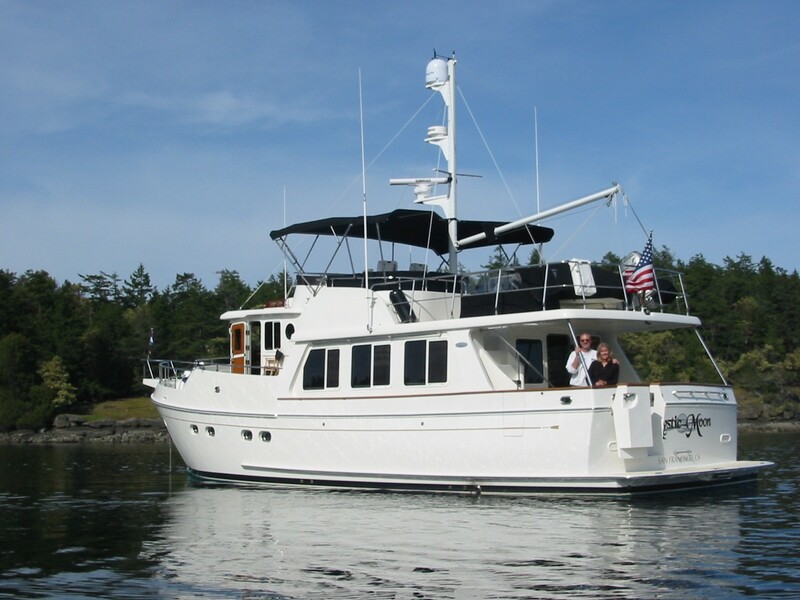 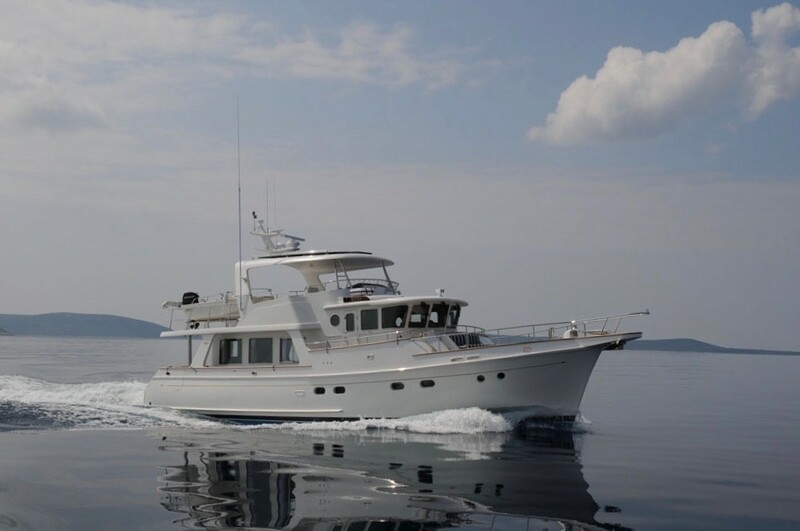 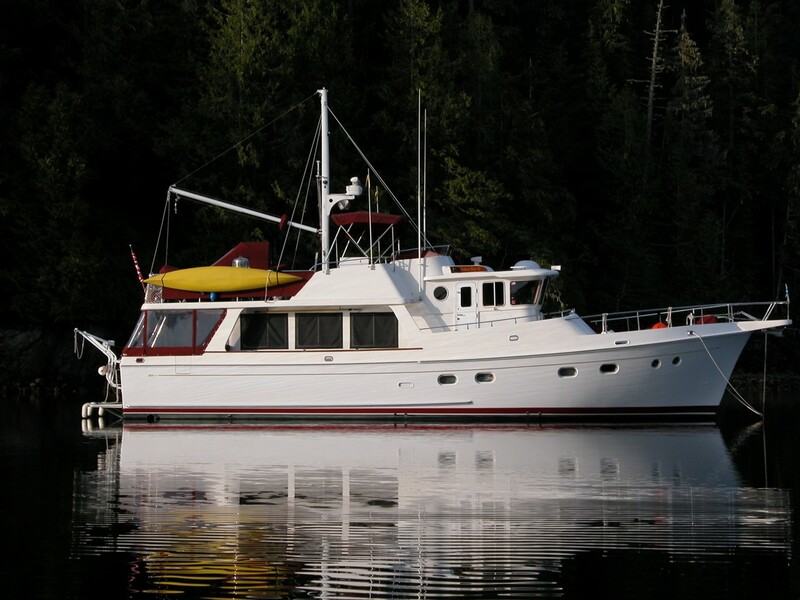 But, like all Selene Ocean Trawlers, at it’s heart, the Selene 54 is a serious long range cruiser. 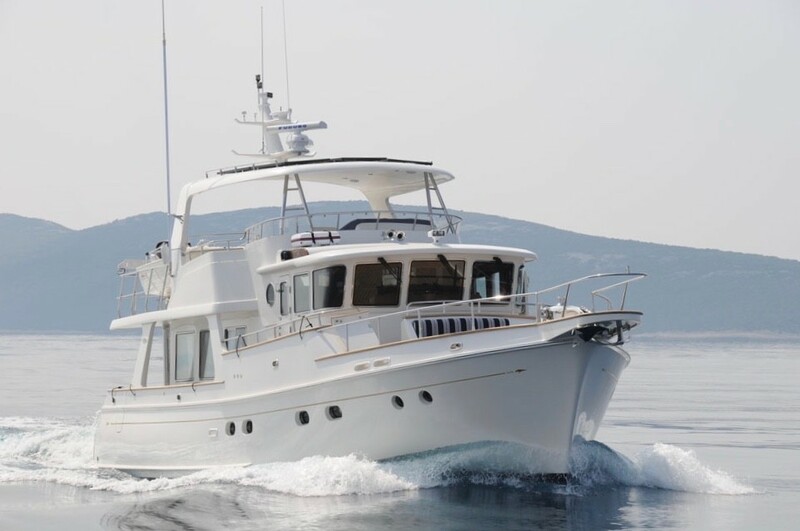 The hull form of the Selene 54 has a hard chine in the aft sections to reduce roll, but this merges into the traditional displacement boat’s round bilges by the mid sections, giving the Selene 54 it’s impressive range of more than 2,000 nm and an economical cruise speed of 10 knots… Her shape below the waterline and single engine create a fuel-efficient package and the big slow-turning prop responds instantly to increases in throttle and increases maneuverability. 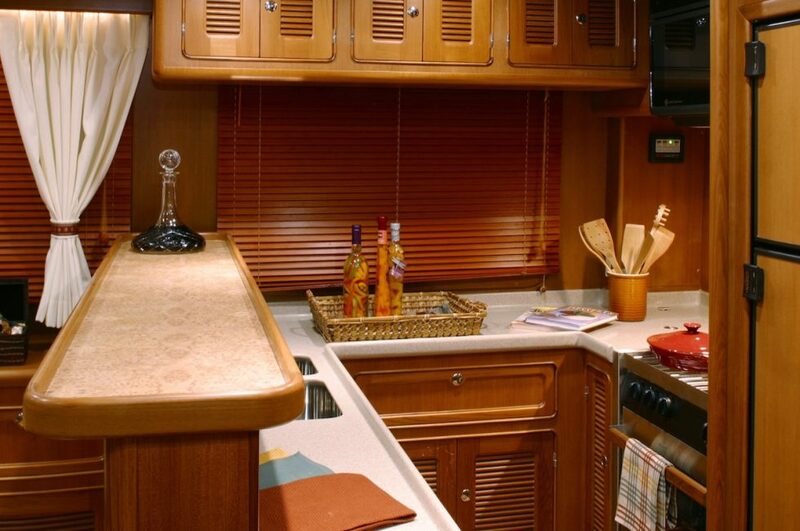 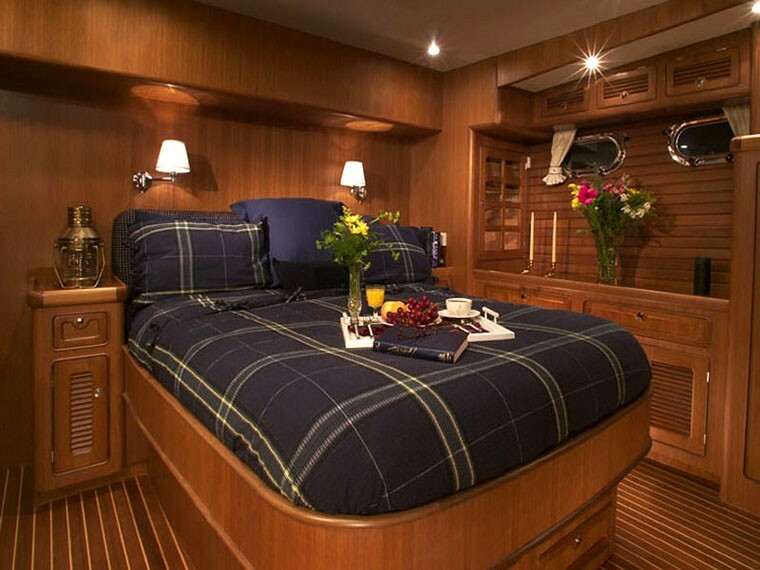 After being on board a Selene 54, owners often wonder how we’ve managed to pack so much into a 54′ boat! 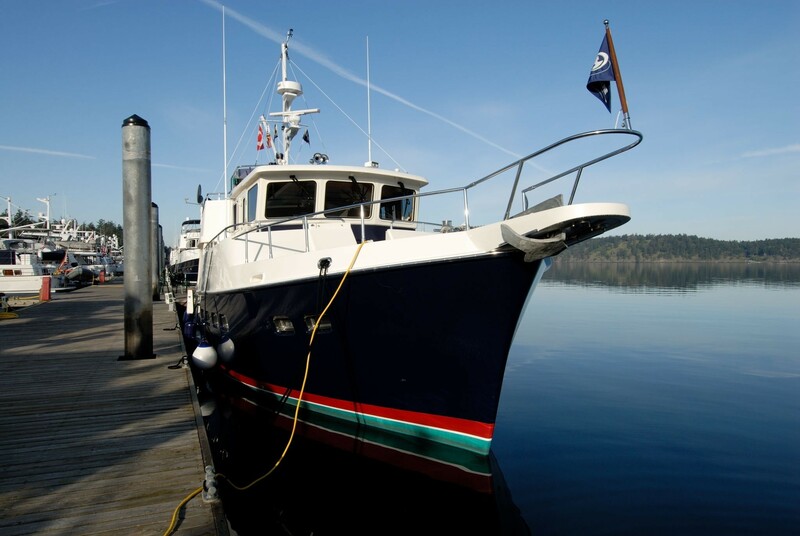 Well, for a start, it’s actually 59’10″ (18 m) overall, and with a beam of 16′ 8″ (5,12 m) ». 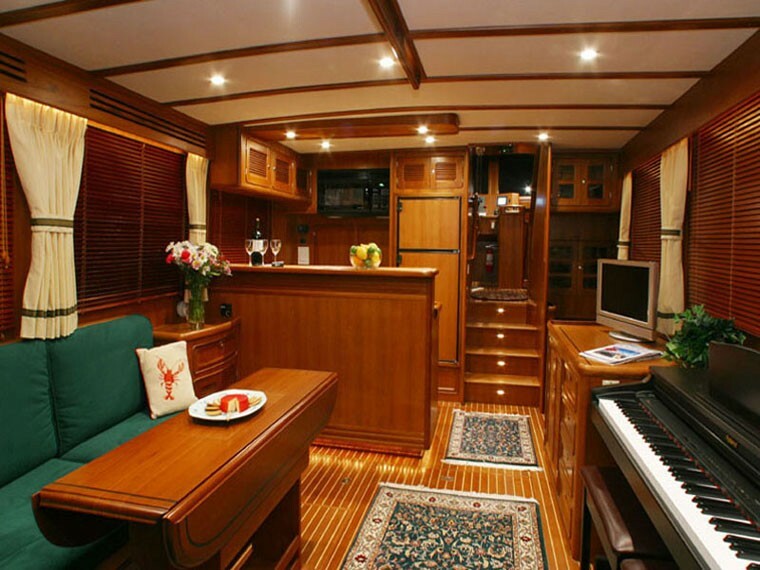 The Selene 54 is definitely a displacement motor yacht meant for long-range cruising in style!